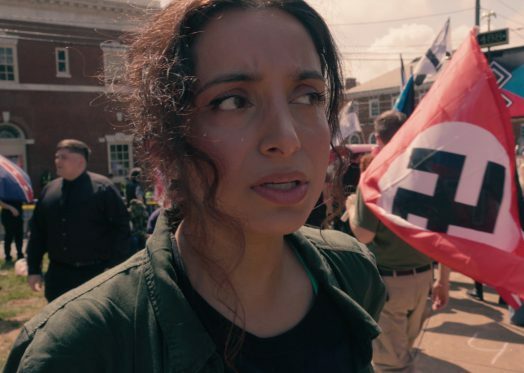 In her fourth documentary, Deeyah Khan has taken on her most dangerous challenge yet. She joins the frontline of the race wars in America and sits down face-to-face with fascists, racists and the proponents of “alt-right” ideologies who have propelled Donald Trump to the presidency. As she tries to get beyond the scare stories to the personal story, behind the headlines to the human beings, Deeyah finds her own prejudices challenged and her own tolerance tested – before finding herself in the midst of a race riot, in the now-infamous 'Unite The Right' rally in Charlottesville where a counter-protestor was killed. Deeyah is featured in The Guardian this week and shares her experiences of making this film - read more here. The film will receive its world premiere on ITV, the UK’s primary commercial television network, on Monday 11th December at 10:40pm. It will be shown internationally in 2018.